Votez pour cet Avocat ! Recevoir les réductions "Cabinet May & Co (Anglais)"
In the Gironde region and thereabout, May & Co can offer you its services in all aspects of social law (employment law and social security law). Whether you are an employer or an employee, do not hesitate to contact us on the number below. Maïa Montluçon’s law firm is based at 4 Place Rodesse in Bordeaux, where you can make an appointment to meet her. Miss Montluçon is also a Solicitor in England, and thus perfectly bilingual, all consultations and advice can be undertaken in English. 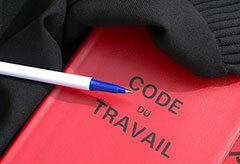 May & Co will advise you in either French or English and will represent you for any relevant judicial procedures, before all French Tribunals in Employment Law. Maïa Montluçon will inform you of the latest legal and case law developments in social law. We analyze the different problems and challenges of each situation and determine with you the appropriate solution for your particular case. We advise you on the best way to react in order to safeguard your rights and interests. May & Co will draft in French as well as in English, any correspondence needed for all parties concerned at all stages of the procedure. 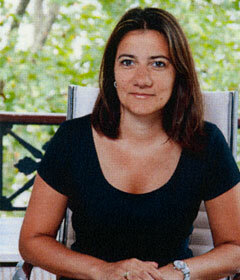 Finally, Maïa Montluçon's firm performs a representative service for her clients. For this reason, we act on your behalf and defend your interests before the Tribunals (Employment Tribunals in France, Civil Tribunal, Administrative Tribunals and Appeal Courts...). Within this professional framework, the firm will help you in all the necessary legal steps to settle the case immediately or progress to court, in order to preserve and defend your rights. This would be done after having defined with you the best strategy to adopt. As a representative, we assist you or lead for you the negotiations with your possible partners or adversaries. In order to provide you with the best legal advice possible, the lawyer will be both intuitive and methodic in order to best defend her client interests. It is essential to create a reciprocal trust relationship between the lawyer and the client. Every client will receive the same level of professional diligence and courtesy. May and Co is opened from Monday to Friday, from 9am until 12.30am, and 2pm to 6 pm. Do not hesitate to contact us. Graduate of the University of Paris II and Montpellier (Master in Employment Law), Maïa Montluçon is registered as a lawyer at the Bordeaux Bar. As a Solicitor at the Bar of England and Wales, Maïa Montluçon successfully undertook the Qualified Lawyers Transfer Test (QLTT) issued by the Solicitors Regulation Authority at BPP Law School in London. High level of experience in employment law acquired while working for well-known British and French law Firms, with a strong emphasis on the Anglo-Saxon work ethic, in particular quick turn around and effective client communication, Maïa Montluçon works effectively and efficiently in both French and English. Always listening to her clients, adaptable to each case, within a fixed timeframe and according to client requests (oral or written consultation, e-mails, appointments, in French or in English…), Maïa Montluçon gives individual care and attention to each client in order to create a strong trust relationship with each party concerned (companies and employees), in particular in terms of her availability.